Congratulations to Bobbi Kavanagh for winning! April 2017 was a defining time for me. I was on vacation in Las Vegas. My legs and feet had swollen so much that I could barely walk. At age 40 I ended up having to buy a support hose to help with the swelling. I was on two different blood pressure medications, anti-depressants and my whole body ached because of the excess weight I was carrying. My now fiancé said something to me that hit me hard. He said, "We finally found each other, I need you to be healthy so you can be there for us". WOW. We had just met 1.5 years prior. He loved me no matter what size I was, but wanted me to be healthy. I knew I had to make a change. When I returned home from vacation, I made a video to myself. I was starting that day. I was no longer going to live like this. I started by cutting my portion sizes in half and I stopped eating take out. 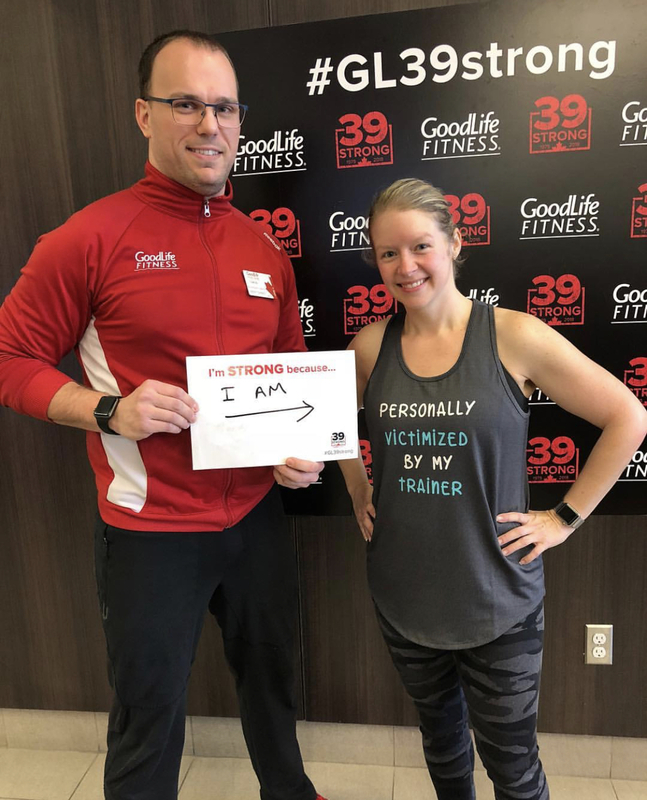 I gave up diet coke (I was addicted) and alcohol and I joined GoodLife where I got a personal trainer. I also started running. The first 6 months the weight dropped off of me. The more change I saw, the more motivated I became. My highest weight was 213 lbs on my 5'2 frame. Today, I am 133 lbs. In December, I ran and completed my first half marathon in Memphis. I am so grateful for my new life now. I am present, involved, healthy and HAPPY in my own skin! I am forever grateful for GoodLife helping me along the way.